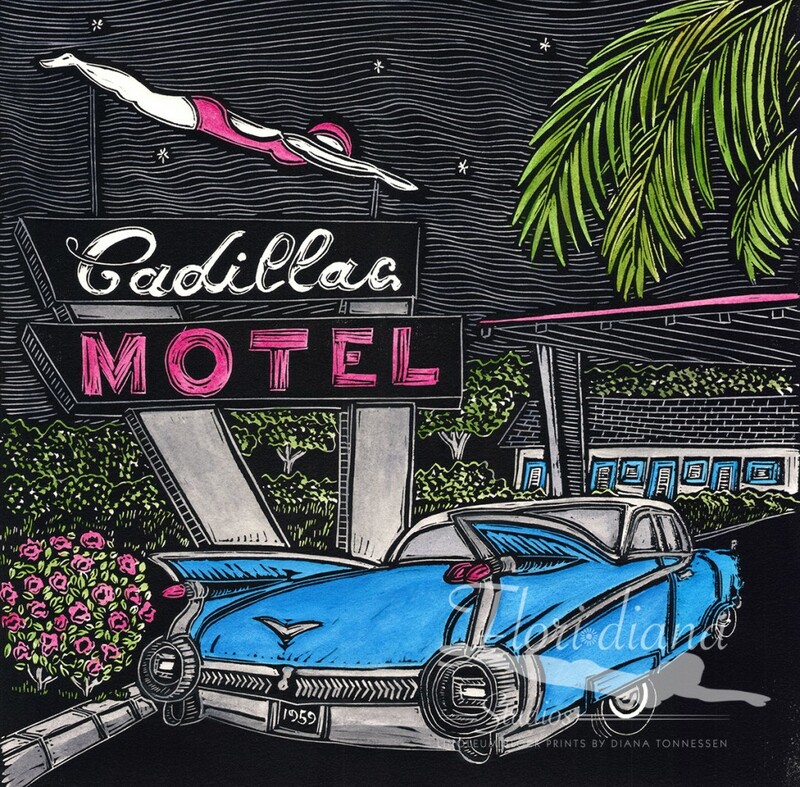 Artist’s Notes: The Cadillac pulling in to the motel was modeled after the twin 1959 Cadillac Eldorados parked outside of the National Vacuum store on NW 23rd Avenue and NW Sixth Street in Gainesville. This was the only year GM made the Eldorado with these distinctive tail fins. My sources tell me that company executives had hoped the tail fins would distinguish the car as a collector’s item, but the car never did achieve the coveted “collector’s” status. Beach Bound Are We There Yet?